Everyone's favorite bear is back and pinker than ever..
"Snuffles" is back, bigger, cuddlier, and softer, and pinker than ever! This huggable plush bear is 10-inches tall. 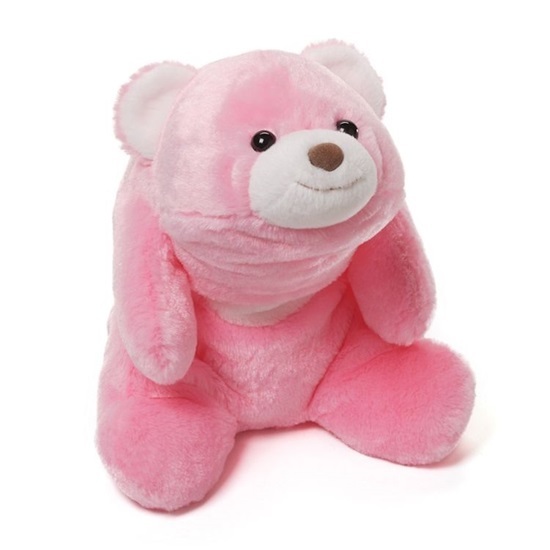 This is a pink plush bear with black eyes and a brown sewn-on nose and mouth. He has a white "crescent" shape on his belly, and the insides of his ears are lined in white. He is so soft and lovable, he will make a perfect addition to your family. A completely unique GUND design, "Snuffles" was first introduced in 1980. Today, at least two generations of fans have hugged and loved this special bear.